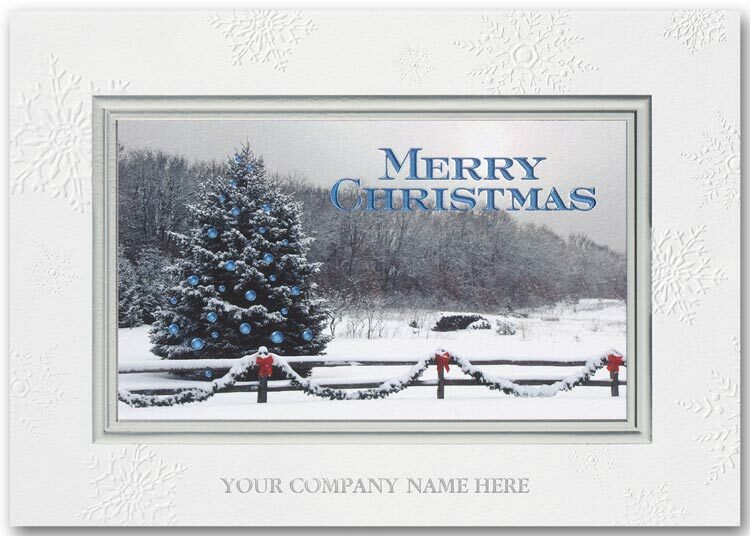 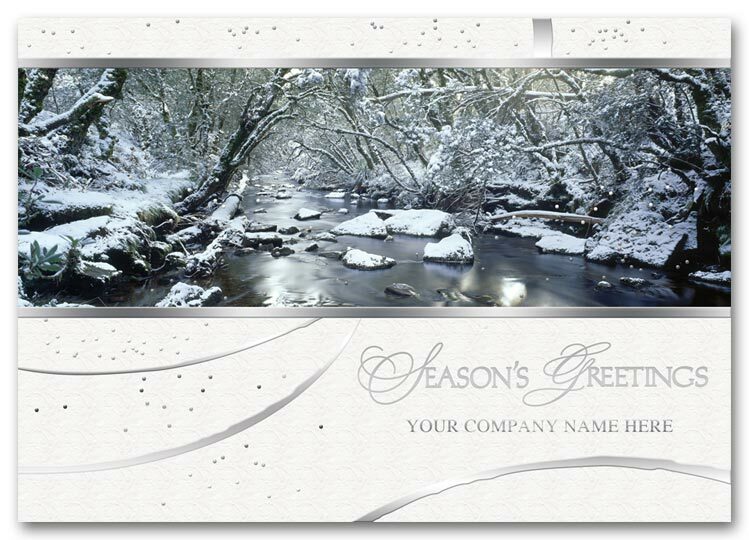 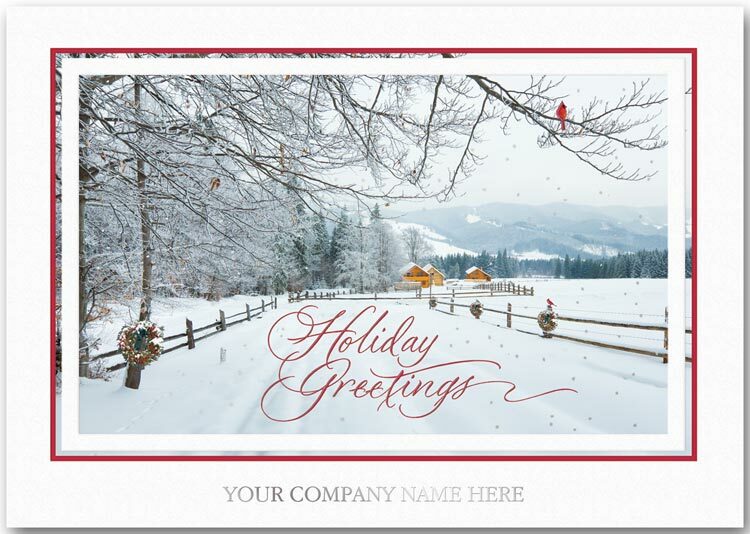 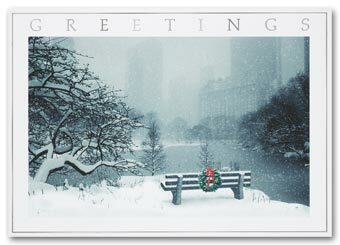 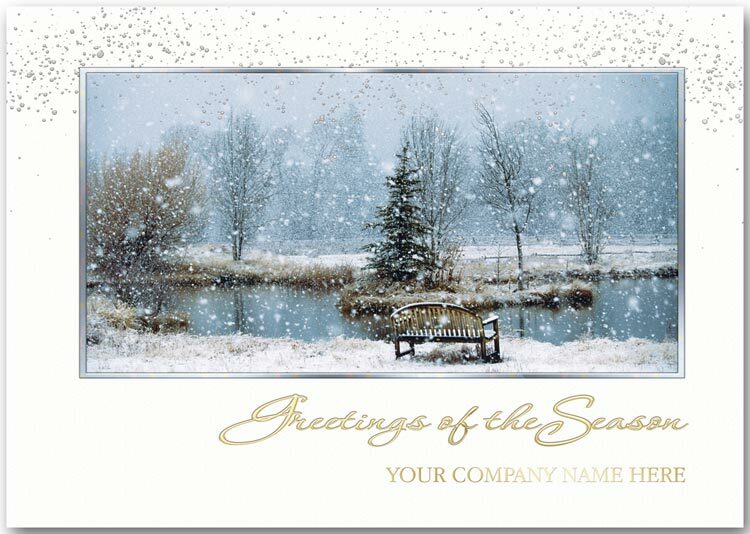 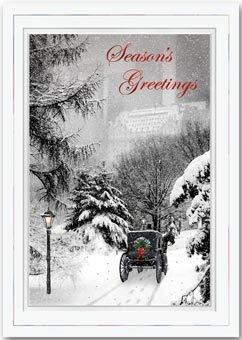 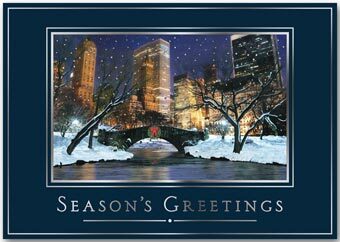 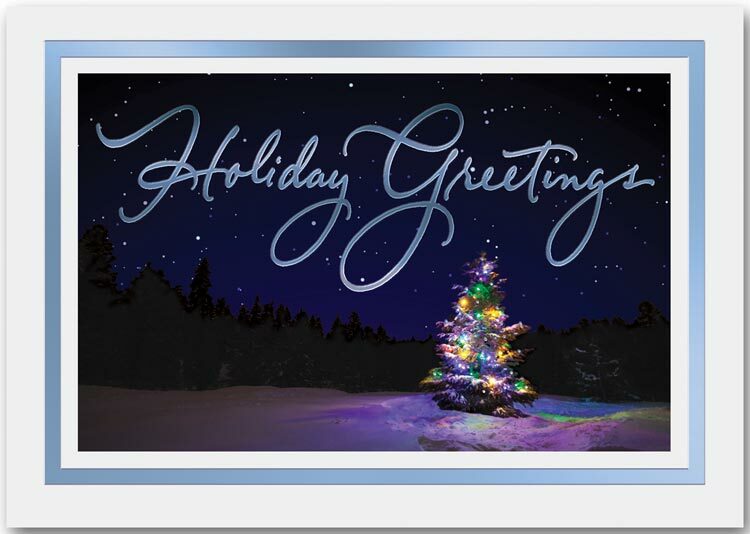 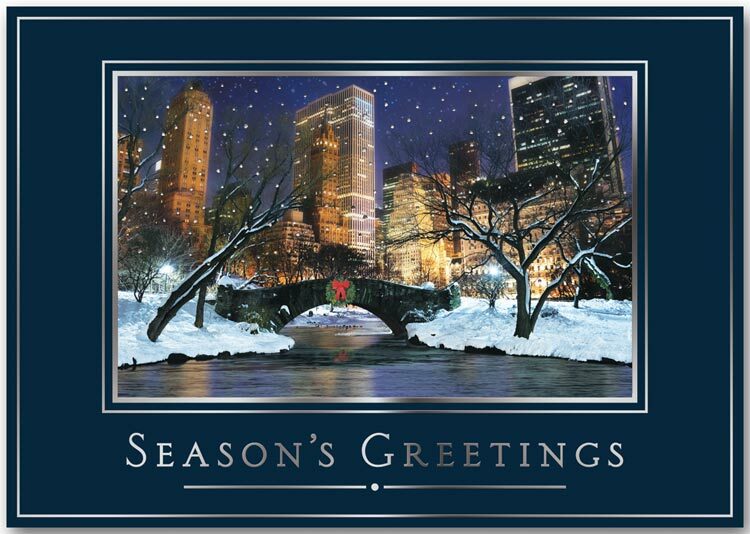 Personalized with your company's message this custom printed holiday card offers several free value added options. 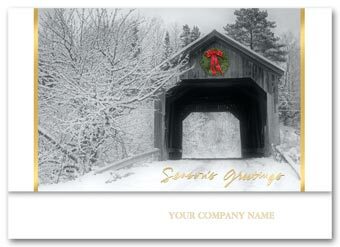 They're a smart way to promote your business while you share holiday greetings!These full colored imagery cards provide the added elegance of foil; as well as a touch of personalization with your company's message.Green and red wreath with silver foil greeting on white gloss stock. 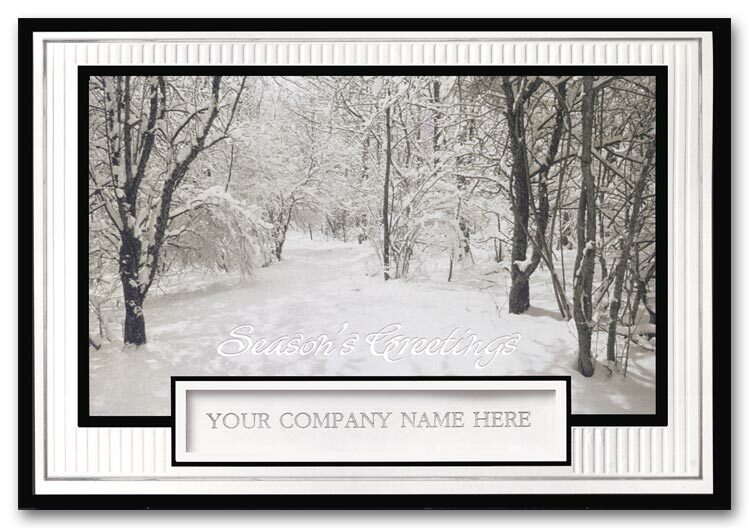 Front features silver foil greeting and border, plus embossed background stripes. Printed on white matte stock.With the right mix of elegance & affordability, this custom printed card conveys your best wishes to your most valued customers! This card is an outstanding value, sure to create a lasting impression!These cards are created on high quality superior paper stock with metallic foils, holiday imagery and custom foil imprints. This card has superior detail, making your customers feel appreciated. And allows your name to be the star, by being prominently displayed on the cover!All on the finest paper stock, these cards are created with deep intricate embossing and prismatic foil or holographic accents.Embossed silver foil accents with personalization on soft white stock. 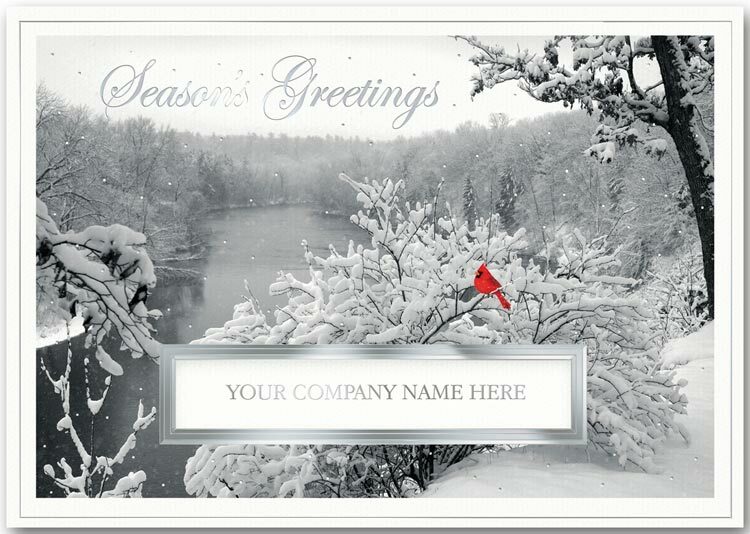 Personalized with your company's message this custom printed holiday card offers several free value added options. 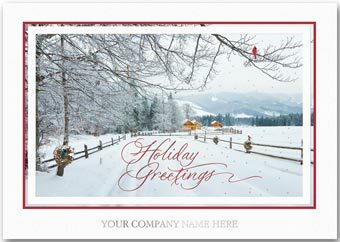 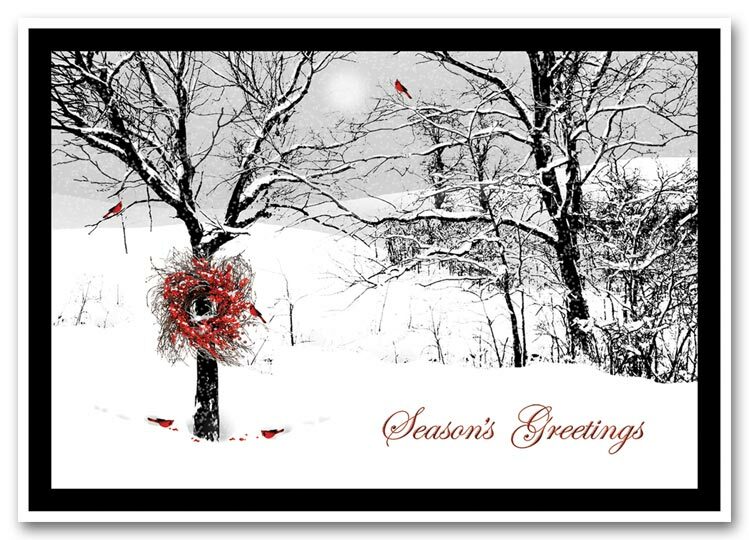 They're a smart way to promote your business while you share holiday greetings!These full colored imagery cards provide the added elegance of foil; as well as a touch of personalization with your company's message.Red cardinals and berries on white gloss stock. 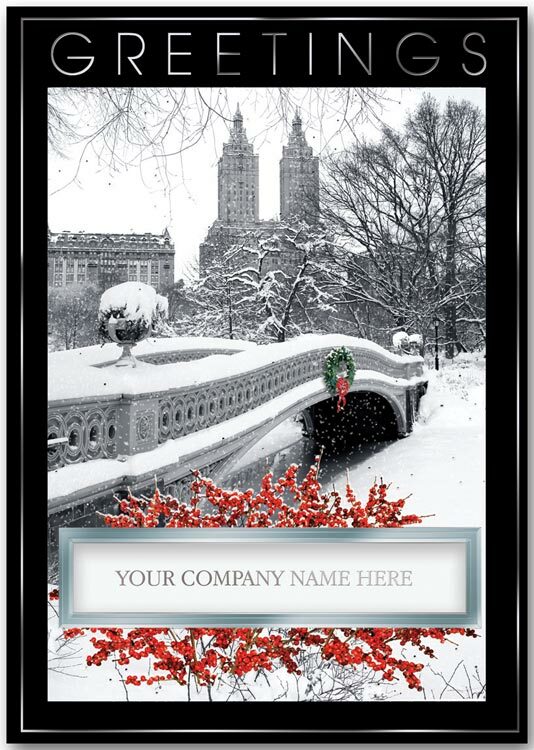 This card has superior detail, making your customers feel appreciated. 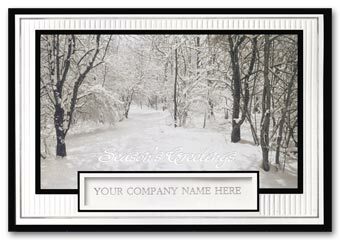 And allows your name to be the star, by being prominently displayed on the cover!All on the finest paper stock, these cards are created with deep intricate embossing and prismatic foil or holographic accents.Black-and-white scene with gold embossed edges on white matte stock. 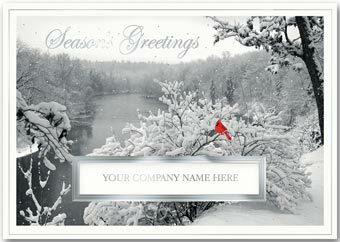 Personalized with your company's message this custom printed holiday card offers several free value added options. They're a smart way to promote your business while you share holiday greetings!These full colored imagery cards provide the added elegance of foil or embossing. 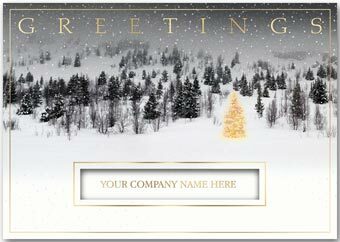 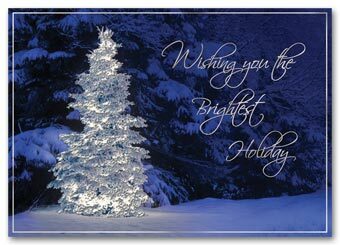 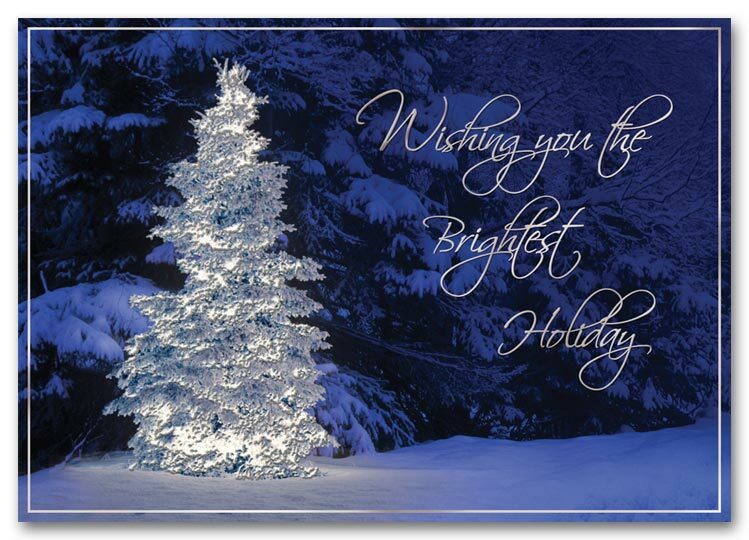 As well as a touch of personalization with your company's messages.Burst of light illuminates snow-covered tree with navy background.